The Ohaus Adventurer Pro Legal for Trade series is made for the jeweler who needs a balance of accuracy and affordability. These versatile scales are legal for trade in a variety of units including grams, pennyweights, troy ounces, carats, and others. All have parts counting capabilities. A bright backlit display, four button operation, and leveling feet make them easy and convenient to use. 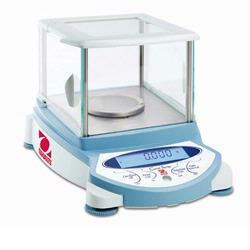 Specifically designed for unique weighing needs of every jeweler. 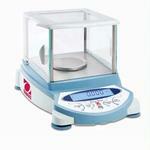 Jewelry weighing applications with precision and performance. Solid reliability with unsurpassed value. Backlit 2 line display. Jewelry weighing modes that include ct, gn, dwt, oz, t, g, mg. Frameless draftshield for easy clean access. Removable doors. InCal internal calibration. Quadrastance for superior stability. 8.7.L x 7.5.W x 11.8.H.